I don't read a lot of holiday-themed books or any short story anthologies, but I knew I HAD to read My True Love Gave to Me the minute I first heard about it. I mean, do you see how many of my favorite authors contributed to it? This is like the YA author jackpot right here! 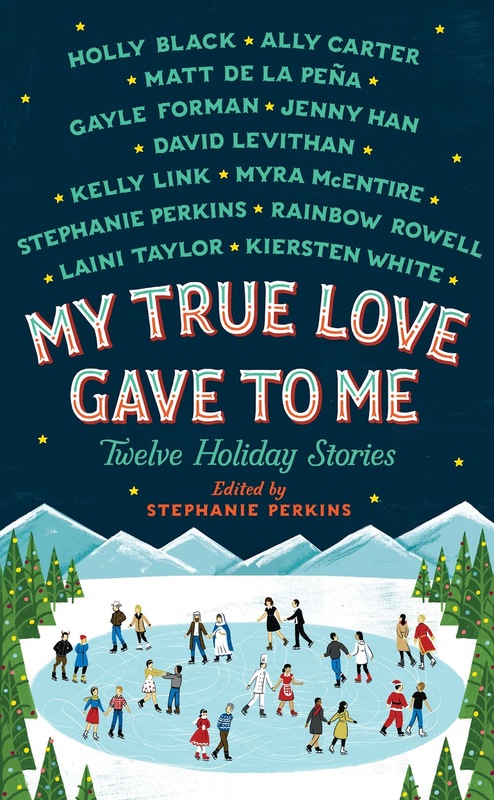 There were a few new-to-me authors on the list, but I was sold just by the fact that Stephanie Perkins edited all of the stories in the collection. And it didn't hurt that the cover is absolutely adorable! This is a book you want on your shelves. 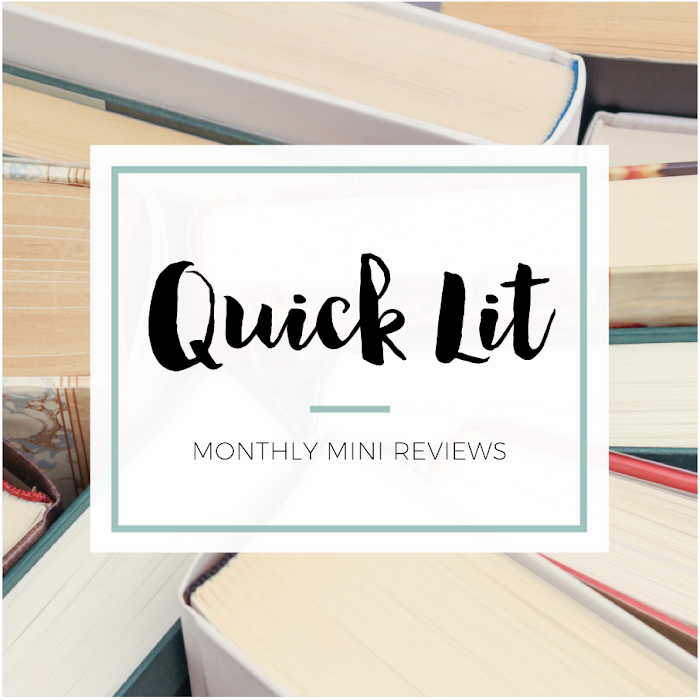 I debated whether or not I wanted to just highlight my favorites, but I decided to share a few thoughts on every story included. Since the stories are short, I've tried to keep my thoughts concise and mostly just share how I felt about each one. As expected, I loved Rainbow Rowell's story. This story centered around New Year's Eve, and it was an amazing way to open this anthology. Rowell plays with time and structures her story a little differently, and I absolutely loved that aspect. One of my favorite parts of this story was the way Rowell captured what it's like being around high school friends after you've all gone away to college. "Everything was the same, and everything was different. Same people. Same music. Same couches. But they'd all grown apart for four months, and in wildly different directions." It would be hard for any story to follow Rowell's, but I was particularly let down by this one. It started out so promising, too! There is a fairy tale quality to this story that sweeps you away at first... but the story just fell flat in the end. I felt like I was missing information! The magical tone was lovely, but I needed more from the plot. "I just don't think it's very smart, standing out here because you're in a mood. But maybe you aren't very smart. My mother says good-looking people often don't bother." I'd been meaning to read one of de la Peña's stories ever since I read an article he wrote about how reading changed his life. I was so moved by what he wrote! Well, Angels in the Snow made me that much more determined to grab one of his books. I loved that this one was from a male perspective, and the narration just captured me. The writing, the characters, the story... I was hooked! "We both stood there awkwardly for a few seconds. It was like we'd ripped open our chests and revealed our beating hearts. And how do you transition back to small talk after that?" Jenny Han's story was sweet, but not that satisfying - like those mini-size packs of candy. This was set in the North Pole, which made it kind of fun. The concept was cute, but it just wasn't as fleshed out as I would have liked. And for some reason, the narrator annoyed me too much for the story to hit home. "Living where I live, it can sometimes be hard to tell the difference between magic and make believe." AHHHH! Stephanie Perkins' story is tied with Laini Taylor's as my favorite in the collection. Seriously, it was so adorable. AND THE SWOON. It was the perfect short story... and yet, oh how I wish I could read more about these two characters in a full-length novel. I've only been to Asheville once, but I loved how Perkins captured the setting, too. I see myself re-reading this story quite frequently. PERFECTION. "North could have kissed her. He could have done it, he could have swooped in, but he was being respectful. It made her want to devour him whole. Or be devoured whole." To be honest, I was confused by Levithan's story. It read like an excerpt to me. It didn't seem to really go anywhere, and the characters' motivations didn't make sense to me. I wasn't a fan of this story because it just felt so incomplete. I haven't read anything by Levithan before, and this didn't make me want to pick up more. "He says presents aren't important, but I think they are - not because of how much they cost, but for the opportunity they provide to say I understand you." I've only read one book by Holly Black, but this story was something I would have expected from her: imaginative and kind of crazy. I liked that this story was so different from all the others in the collection. Plus, I'd never heard of Krampus before reading this short story. But it was just a little too weird for me and wasn't something I'd care to read again. It's memorable, but mostly because it's so odd. "It was too bad. My fake boyfriend was the best boyfriend I'd never had." I loved Gayle Forman's story, which was no surprise. I adored that it was a college setting, and the way Forman portrayed how you can form an impression of someone that isn't accurate. I also thought that Sophie's realization about what she's been blind to (and how some things take time before you feel like you belong) were so relatable. That was my favorite part of this story! "There really was no such thing as a minor miracle." I haven't read anything by Myra McEntire before, so I wasn't sure what to expect. But I really enjoyed this story! I liked that it was a male narrator, loved the humor and was so intrigued by the premise. This was one of the funnier stories in the collection, and that was such a nice change of pace. I took note of a few quotes, too! "Shame leads to secrets, and secrets lead to lies, and lies ruin everything. Especially friendships." I fell in love with Kiersten White's writing when I read Illusions of Fate a few weeks ago, and this just sealed the deal. I loved this so much! I was grinning like a fool, and then I felt teary a few times while I was reading. Who knew a short story could make me so emotional?! It reminded me a bit of Sarah Addison Allen - it's not magical realism, but it sure gives me those same feelings. "The idea that something - food, traditions, an arbitrary date on the calendar - can be special because we decide it should be. Because we make it special. Not just for ourselves, but for others. I've had people around my whole life to make things special for me, even when I didn't notice it." I liked the writing in Ally Carter's story, but I found the story itself just a bit too implausible. It had an interesting premise, but I felt like there needed to be more to the story (especially for it to end the way it did). It was cute, but I had a hard time suspending my disbelief so I never connected to it while I was reading. Maybe if there had been a little more background? "So it turns out that if you swap tickets with a girl who doesn't want to go see her boyfriend, then there's a good chance said boyfriend will meet you at the airport." Holy cow! Laini Taylor's story was STUNNING. It was a perfect way to close out this collection! This was probably my favorite story overall. 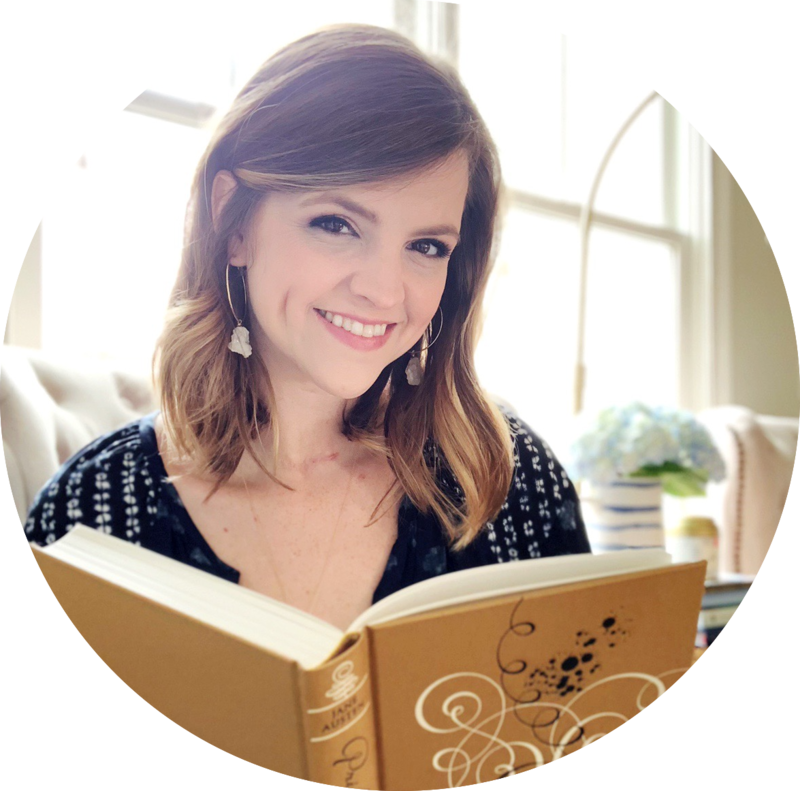 There's something about her gorgeous writing and the way she infuses her story with magic and wonder. This imaginative story was romantic, gorgeous and utterly captivating. I will absolutely read this story again and again! "But what if... what if... there was some other future lying up ahead for her - one without any misery in it at all - and even now it was trailing its way backward in time to meet her, and take her hand, and show her how to find it?"